This desk patent plaque offers a bold combination of contemporary smokey black glass, engraved message and satin silver hardware. Perfect for any desktop or office display area. Precision laser-etching on optical crystal produces a beautiful frosted effect deep into the surface, making this crystal desk plaque more sophisticated and personalized. Layout can be customized to your specifications. 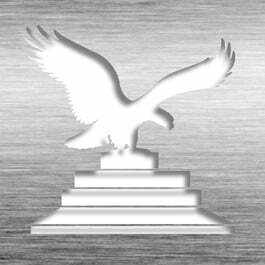 Logo and images can also be included at no additional cost. Also available with our Silver HD Plates. 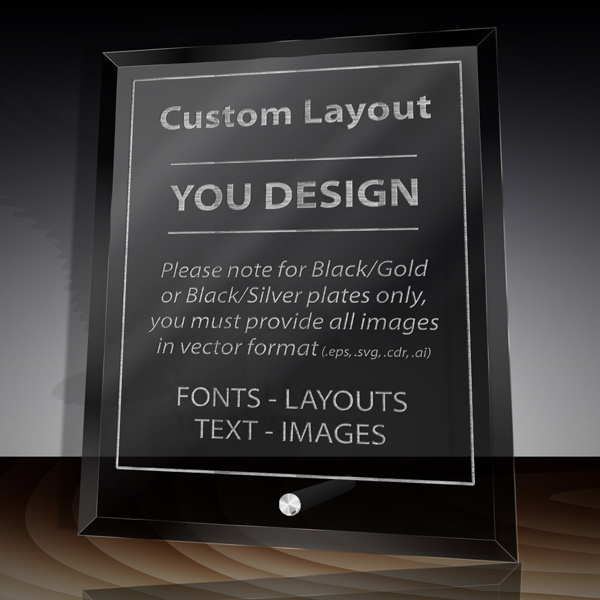 This Patent Award - Glass Desk Plaque Black DG-10LE is part of our Patent Desktop Award Series of products, check out other products & options available in the Patent Desktop Award Series of our selection. This Patent Award - Glass Desk Plaque Black DG-10LE can be modified to your requirements and is available for your corporate award programs.